1. Europeans first came into contact with chocolate in 1519 when conquistadors of the Aztec Empire brought it back to the Spanish court of King Phillip II. At this time, it was served as a luxurious beverage to only the highest social classes: royalty, military, long-distance traders, and Catholic clergy. 2. Along with chocolate, in the form of the cacao bean, the Spanish conquistadors brought back potatoes and tomatoes from their excursions in the New World. 3. The Spanish were quick to adopt cacao as an exotic alternative to the familiar coffee bean. Chocolate drinks were especially popular during fast days in the Catholic country, when the high levels of fat provided more sustenance than tea or coffee, and did not break the rules of the fast. 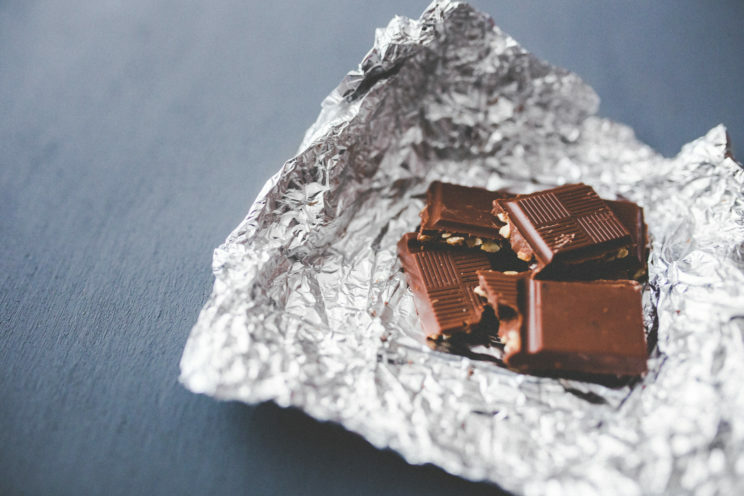 Chocolate pieces on aluminum foil. Karolina Grabowska.STAFFGATE, 2015. CC0 public domain via Pexels. 4. During the 1600s, an increased presence of coffeehouses and cafes created an opportunity for the lower classes to indulge in the chocolate drink. 5. It was not until the nineteenth century that the right technology made it possible for chocolate to be made into other products, like bars and sweets. At the turn of the twentieth century, chocolate was accessible and affordable to everyone. However, this increase in production tended to yield a decrease in quality as manufacturers decided to use cheaper ingredients like Forastero cacao beans. 7. The distinction between luxury chocolate and ordinary chocolate that we have today began in the twentieth century when chocolate started being mass produced. Before then, it was always considered a luxury good. In fact, the differences between the two have much more to do with the marketing strategy, packaging, and price than with the quality of the chocolate itself. 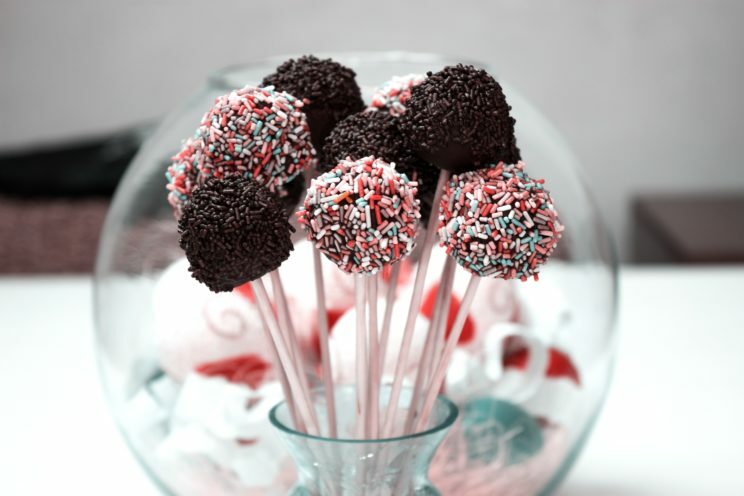 Cake pops chocolate. CC0 public domain via Pexels. 8. The continued exchange of chocolate between the New World and Europe led to experimentation and new recipes that were quite different from the original, but better suited to a European taste. Cinnamon and nutmeg, among other more familiar spices, replaced chilli peppers and achiote. When the Europeans introduced cows to the New World, a hot chocolate recipe with milk was soon developed. 9. During the Enlightenment, chocolate drinks became popular in London for their taste, nutritional value, and ability to maintain clear thinking. People could remain productive and focused while drinking chocolate all day long, which is not the case when consuming alcoholic beverages. 10. Countries that grow cacao like Grenada, Ecuador, and Madagascar have recently started producing chocolate within their own borders, completely revolutionizing the traditional process of chocolate production. This is a way to maximize profits for their own cacao farmers, who are historically some of the most impoverished workers worldwide. 11. The term ‘single origin’ chocolate indicates that the cacao beans used to produce that product are not a haphazard combination but were sourced from one particular location. This term is seen as a marker of quality, but can in fact be used to describe anything from beans that were sourced within the same country to beans that came from the same plantation. 12. Today, countries like Thailand, India, and Australia that have no previous experience with the cacao bean are planting trees so that they too might have a stake in the globalized chocolate market. Featured image credit: Chocolate desserts on sticks, CC0 via Public Domain Pictures. 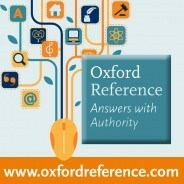 This blog post has been written by the Oxford Reference marketing team.